This is a photograph of the D. & B. 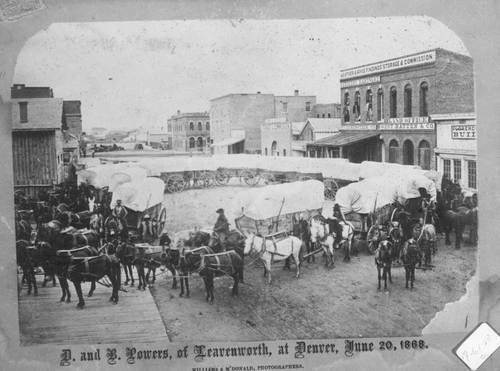 Powers wagon train from Leavenworth, Kansas, circling in the street at Denver, Colorado. A number of business buildings are visible in the background.